It has been over 6 months since they tested for their white sashes. Six months filled with hard work, sweat, perseverance, and dedication to practicing the same things over and over..... and it has paid off. The two students who earned their Yellow Sashes today have truly earned this new rank and I'm very proud to have helped them reach this point in their training. 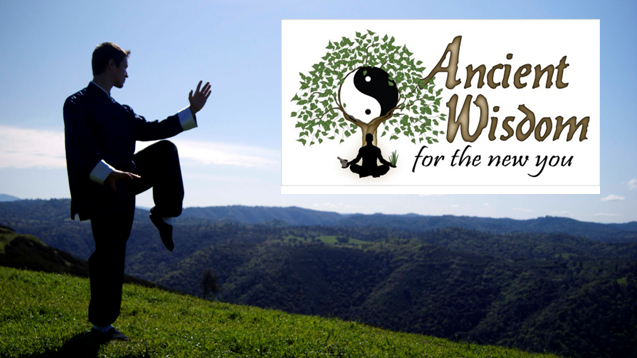 The 8 Doors, or fundamental moving concepts, of Tai Chi. Both of these students have been training with me since the beginning of 2011 and I'm very pleased with the progress they have made and the hard working attitude they have diplayed in their training so for. It has taken them more than a year and a half to reach their second rank in our sash system. This is not because they have not worked hard, on the contrary, it is because of their hard work that they have been able to reach this rank so quickly. It is so important to make sure each skill is truly learned and not just briefly touched on and it can take a long time to get these things down. Below are some pictures of the sash promotion ceremony. In this picture my dad is giving me his old white sash and receiving his brand new Yellow Sash. Here my dad is receiving his rank certificate. Here Kathy is receiving her new Yellow Sash. Kathy looking over her new Yellow Sash rank certificate. Dad and me showing off his new yellow sash and rank certificate. Kathy and me showing her new yellow sash and rank certificate.